The sixth WLP Session: Preservation through Perseverance will discuss how the AANHPI community can advocate for environmental justice on behalf of their communities by examining past and present environmental movements. The session will also provide an opportunity for attendees to interact with environmental leaders and advocates working in the field and how they have mobilized and pushed their campaigns. Registration for the event will begin at 5:30pm with our program following promptly at 6:00pm. All WLP sessions are free to the public, but seating is limited. Please register online to reserve your seat. Dinner will be provided. 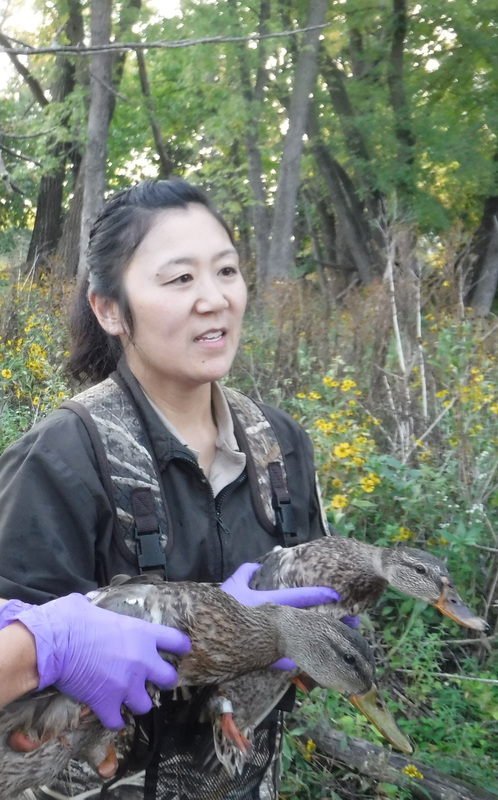 Sarah Inouye-Leas has a BA in Biology and Environmental Studies and 17 years of experience at Minnesota Valley National Wildlife Refuge (NWR), under the U.S. Fish and Wildlife Service (USFWS), where she is currently working as a Volunteer Coordinator. In this position, Sarah is able to keep her passion for biological work and make it interdisciplinary. She does this by working with groups of volunteers on various biological projects, citizen science, and holds a station permit for banding birds. Sarah’s first exposure to the USFWS came as a Biological Science Technician intern at Sherburne NWR in Zimmerman, MN. During this time, she acquired firsthand experience conducting wildlife surveys, working with invasive plant species, assisting with refuge operations and maintenance projects, and working with visitor services. After this summer, she was hooked! After graduating from the College of St. Catherine, Sarah was able to attain a permanent Visitor Services Specialist position at Minnesota Valley NWR. A few years later, she picked up volunteer coordination as a part of her duties. Recently, Sarah dropped the Visitor Services portion of her position and has been able to focus on volunteers/volunteering. When not at work, you will find Sarah exploring the outdoors with her husband and 6-year-old son, fishing, hiking, birding, and camping. The Boundary Waters Canoe Area Wilderness is one of their favorite places to visit! Sarah also enjoys traveling, whether on a good road trip or by visiting her sister’s family in South Korea. Keone Nakoa is the current Washington, DC Bureau Chief for the Office of Hawaiian Affairs (OHA), a highly independent state agency and public trust established through the Hawai‘i State Constitution. In this position, he serves as the primary liaison between OHA and the federal government as OHA advocates and works for the betterment of the Native Hawaiian community. Keone’s prior experience in Washington, DC includes serving as a Staff Assistant, Legislative Correspondent and Speechwriter for the late U.S. Senator Daniel Kahikina Akaka and working as a summer law school intern at the Consumer Financial Protection Bureau. 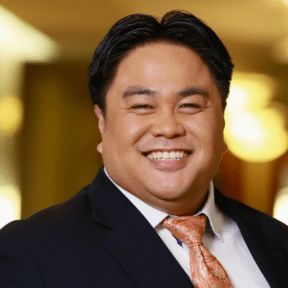 Before returning to DC to take on this new role, Keone practiced law in Honolulu specializing in complex commercial litigation and general corporate governance, including nonprofits. He also clerked for Chief Judge Craig Nakamura of the Intermediate Court of Appeals for the State of Hawai‘i. Keone received his JD and MBA degrees from the University of Hawai‘i at Mānoa and an AB in biological anthropology from Harvard University in Cambridge, Massachusetts. Ambreen Tariq is the founder of @BrownPeopleCamping, which she launched in August 2016 in celebration of the National Park Service’s centennial. @BrownPeopleCamping is a social media initiative based on Instagram that utilizes personal narratives and digital storytelling to promote greater diversity in our public lands and outdoors community. Ambreen utilizes storytelling to share how her life experiences as a Muslim, South-Asian American immigrant female have shaped her love for the outdoors; to reflect more openly on the role privilege plays in enabling us to enjoy the outdoors; and to promote more passionately for everyone to experience the outdoors in their own authentic ways. She strives to achieve these goals to help grow the community of people who, having developed personal connections to the environment, will feel invested in protecting and advocating for its future well-being. Ambreen is a non-practicing attorney who works for the federal government in Washington, DC, and she runs @BrownPeopleCamping outside of her day job. 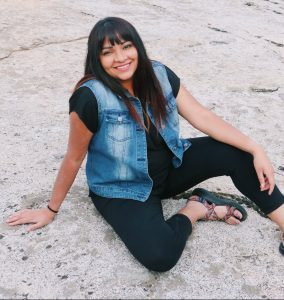 Through @BrownPeopleCamping, Ambreen has collaborated with various partners in government agencies, non-profit organizations, and private industry to promote diversity in the outdoors. She is a Brand Ambassador for Airstream and REI, an Associate Board Member of the City Kids Wilderness Project, and a Board Member of Green Muslims. 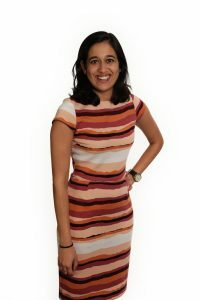 Session Moderator Eesha Bhave is a program assistant at Futures Without Violence, a national technical assistance and training provider focused on ending violence against women and girls. Prior to this role, Eesha served as political appointee under the Obama Administration at the U.S. Office of Personnel Management. In this capacity, she assisted the Acting Director and the Chief Management Officer with strategic communications, regulations and other agency priorities. She is a recent graduate of American University’s School of Public Affairs (SPA),including the SPA Leadership Program and the Women and Politics Institute. Her past work experience includes the White House Initiative for Asian Americans and Pacific Islanders, and the Aspen Institute’s Program on Philanthropy and Social Innovation. She is passionate about the intersection between AAPI and gender issues, and the unique challenges presented by both.